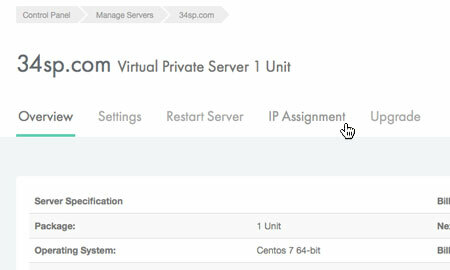 This is a quick step-by-step walkthrough for adding unique IP addresses to your Virtual Private Server (VPS) via the 34SP.com Control Panel. Please note: Additional IP addresses are charged at £0.50 per month. 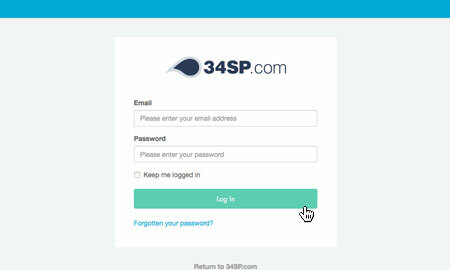 Firstly, you'll need to login to your 34SP.com account at https://account.34sp.com. 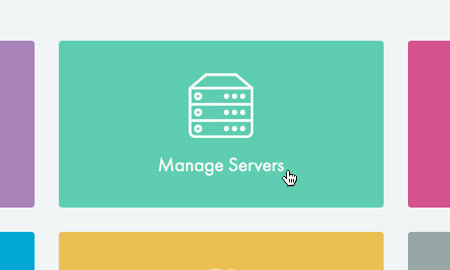 Once you have logged in, click on the 'Manage Servers' icon. This will bring up a list of servers you have in your 34SP.com account. Simply choose the VPS you wish to manage. After you have clicked on the server you wish to edit, you will be presented with the 'VPS Overview' page. Please click on the tab labelled 'IP Assignment'. 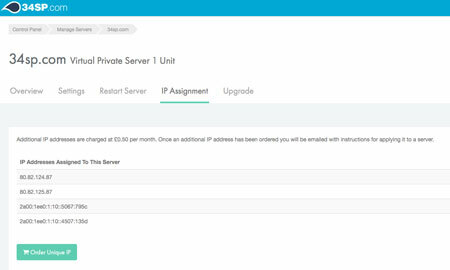 The 'IP Assignment' page provides an overview of the IP addresses assigned to your VPS, with each individual IP address listed in a table. Please note: You are automatically assigned 2 IP addresses when you purchase a server. 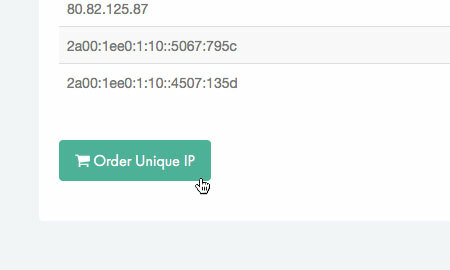 To order additional IP addresses, click on the button labelled 'Order Unique IP'. The unique IP will then by added to your shopping basket. At this point you can either add more products to your shopping basket or click on the 'Proceed to Checkout' button and begin the payment process. Please note: Once an additional IP address has been purchased you will be e-mailed with instructions for applying it to your server. Get the latest tutorials, videos and special offers from 34SP.com. You have entered an invalid email address. Please try again. This email address is already associated with a 34SP.com account.